WirelessDefensiveDriving.com has put together a new list of easy ideas to use and avoid becoming another statistic in the distracted drivers crashes tally. 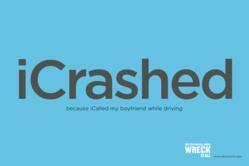 This April is Distracted Driving Month. Tell friends riding in the car to zip it, as much as possible. WirelessDefensiveDriving.com, a Texas defensive driving online school, is helping to spread the word about April, Distracted Driving Month. It is now clear from all the research done at the state and federal level that distracted driving is at epidemic levels (source:http://www.distraction.gov). "Defensive driving companies like WirelessDefensiveDriving.com are pushing a simple message out to the drivers...PAY ATTENTION! ", says Mr. Kyle Collins, founder and instructor atWirelessDefensiveDriving.com. The distractions present in a car have increased dramatically during the last few years. The easy objects to blame are cell phones, but the list is longer and include things like in-dash pop-up DVD players, navigation systems, tablets, mp3 players, portable video players and a multitude of other famous and not so famous mobile devices. Given that most of the new distractions are electronic in nature, a younger segment of the driving population is more affected by these distractions than other age groups. 1 - Turn the phone off. Yes, off! If there is an emergency, pull over, turn it on, and use it. Having the phone off removes the temptation of having to respond to the last social media post alert. Chances of missing the meteor-is-hitting-earth call are much smaller than getting a text from a friend. 2 - Turn the volume down, especially in town and in dense traffic. There is a lot to negotiate around the driver. Being able to hear what is happening is extremely important. 3 - Tell friends riding in the car to zip it, as much as possible. 4 - Keep both hands on the wheel. If nothing else, it prevents the driver from fidgeting with the electronics, buttons, plugs, or sliders. "Defensive driving skills can not be practiced and put to use if the driver is not paying attention" says Mr. Collins. If a driver would like to get more involved and being active in fighting this crises, get the message out, as often as possible. Sites like WirelessDefensiveDriving.com, distraction.gov, fastlane.dot.gov have resources and useful information.